Kroto's Audio Reformer Pro is a unique tool for sound design. Here is a look at the software from a practical everyday perspective. I will focus on how it can improve your workflow and also on how it can spice things up on the creative side when doing sound design. I encourage you to grab the demo version and follow along. Basically, Reformer takes an input (another recording or a live microphone signal) and uses its frequency and dynamics content to trigger samples from a certain library, creating a new hybrid output. In other words, it allows you to "perform" audio libraries in real time like a foley artist performs props. Reformer uses a freemium pricing model and comes in two flavours, vanilla and pro. The first one is completely free but only allows you to use certain official paid libraries. These can be purchased on the Krotos Audio Store where you'll find a huge selection of different libraries. The pro version uses a paid subscription model and offers more advanced features. This is the one I'll be covering on this post. This version allows you to load up to four libraries at the same time and do a real time mix between them (the free version only allows to load one library per plugin). 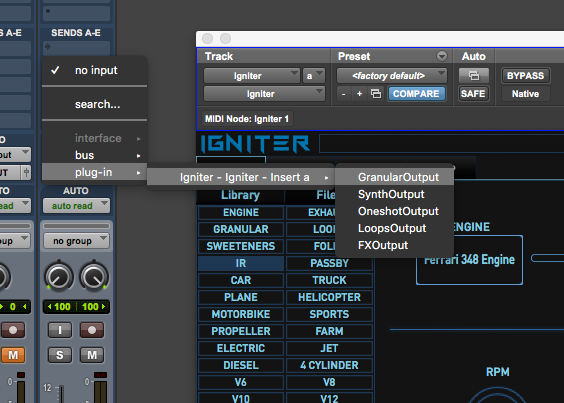 More importantly, it also gives you the power to create your own Reformer libraries using your sounds. Since you can load four libraries at a time, the X/Y Pad on the left hand side of the plugin will allow you to mix and mute them independently. 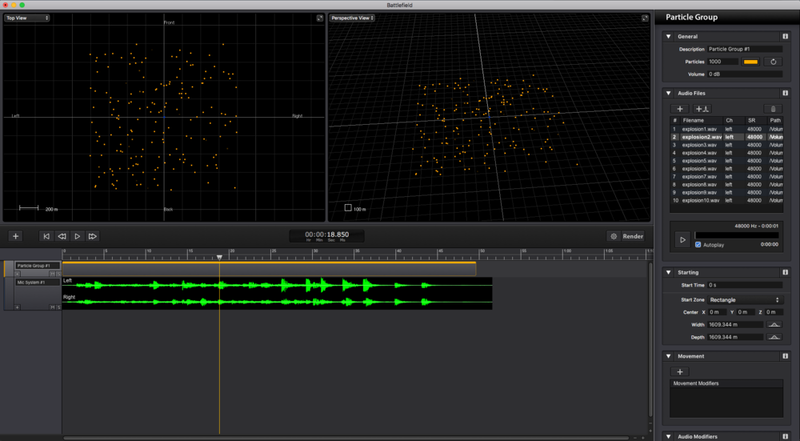 The Response value (bottom left corner) changes how fast reformer is processing incoming audio. In general, faster responses work better with sudden transients and impacts while slower values will work better with longer sounds. If you notice undesired clicks or pops, this is the first thing you should try to tweak. The Playback Speed functions as a sort of pitch control allowing you change the character and size of the resulting signal. Sync: To quickly lay down effects in sync with the picture using your voice or some foley props. For example, covering a creature's vocalizations by hand is always very time consuming and on these kind of tasks is probably where Reformer shines the most. Substitute: Imagine you have all the FX laid down for a certain object or character and now you have to change all of them to a different material or style. In this case, you could keep the original audio, since it has the correct timing and use it to drive a reformer library with the proper sounds. Layer: Once you've stablished a first layer for a sound, you can use reformer to add more layers that will be perfectly in sync with no effort. Make the most of a limited set of sounds: Sometimes you find the perfect sound to use for something but you don't have enough iterations to cover everything. You can create a reformer library with these few sounds and, playing with the playback speed, response time and wet/dry controls, get the most of them in terms of different articulations and variations. Reformer Pro includes an Analysis Tool that allows you to create custom libraries with your own audio content. I won't go into much detail about how to do this since the manual and this video covers the topic perfectly and the whole process is surprisingly fast and easy. I encourage you to try to create your very own library too. Ideally, you should use several sounds that follow a sonic theme so you can have a cohesive library. At the same time, these sounds need to be varied enough in terms of frequency and volume content so you can cover as many articulations as possible. From a technical standpoint, make sure your files are high resolution, clean, closed mic'd and normalized. As an example, I created ghostly, sci-fi monster voice library using sounds I created with Paulstretch (see my tutorial for Paulstretch here). And here is how the built library behaves and sounds when throwing different stuff at it. The first sounds are the result of monster like vocalizations and you can hear how the library responds with different combinations of timbres. The last sound on the clip is interesting because is the result of the library responding to a ratchet or clicking sound. As you can see is always worth trying to throw weird stuff at reformer to see how it responds. In my view, Reformer is not specifically designed for creative sound design as it lacks depth in terms of how well you can manipulate and control the final results. I miss having some control on how the algorithm creates the output signal in a similar way Zynpatiq's Morph plugin has it. But again, I understand sonic exploration is not the main aim of Reformer. Having said that, you can still achieve interesting designs mixing together elements from different kinds of sounds. Being able to control any sound with your own source of transients opens a huge window of possibilities. For example, you could use a bicycle wheel as an instrument to perform different movements and articulations. Pretty cool. I'm just scratching the surface here. There are many more creative ideas that I would want to try. The demo version only runs for 10 days so make sure you can really go for it during those days. 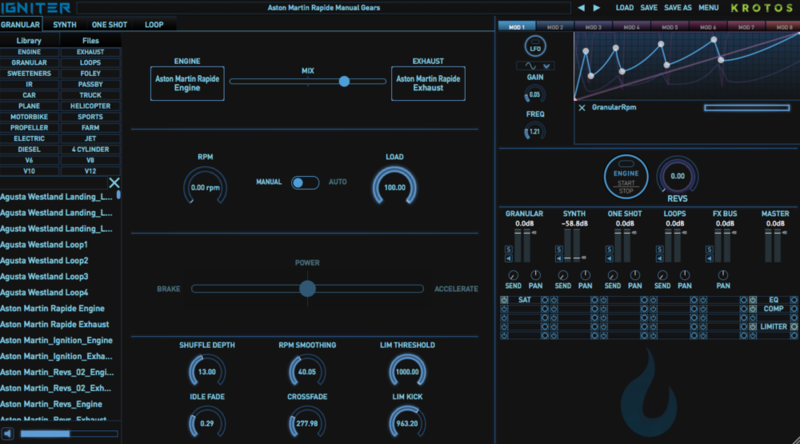 Reformer is a very innovative tool that for sure makes you think in a different way about sound design. Being able to sync and swap sounds on the fly is probably where Reformer shines the most, allowing you to perform recorded libraries live as a foley artist would do. Definitely worth a try. Some years ago it was fashionable to grab almost anything, from pop music to the simpsons audio snippets, stretch them 800% and upload them to youtube. When the dust settled we were left with an amazing free tool that has been extensively used by musicians and sound designers. Let's see what it can do. The user interface may seem a bit cryptic at first glance but is actually fairly simple to use. Instead of going through every section one by one, I will show how different settings affect your sounds with actual examples. For a more exhaustive view, you can read the official documentation and this tutorial before diving in. As you can see above, there are four main tabs on the main window: Parameters, Process, Binaural beats and Write to file. I'm just going to focus on the most useful and interesting settings from the first two tabs. 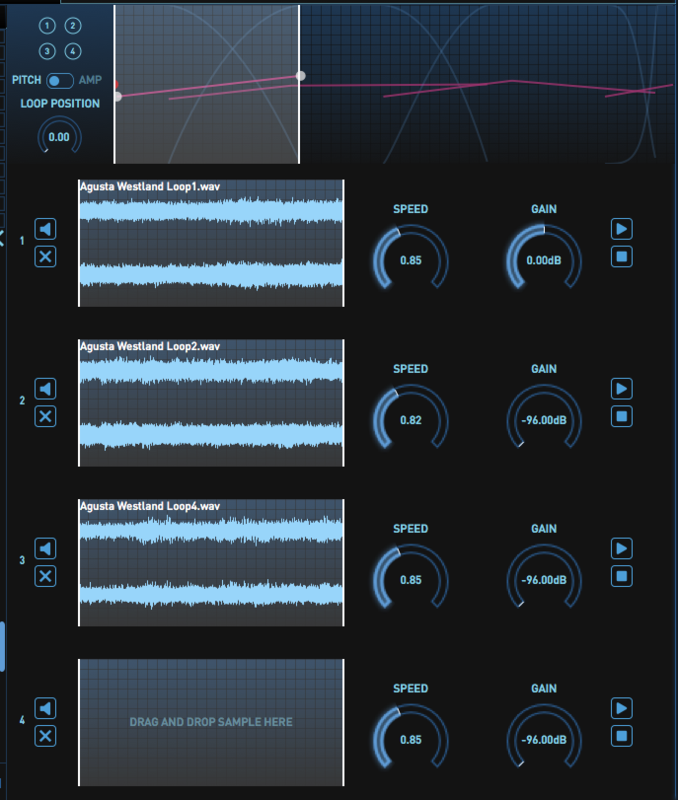 Under Parameters, you can find the most basic tools to stretch your sounds. The screenshot shows the default parameters when you open the software and import some audio. 8x is the default stretch value, that may explain why so many of those youtube videos where using a 800% stretch. The stretch value lets you set how much you want to stretch your sound. You have three modes here. Stretch and Hyperstretch will make sounds longer. Be careful with Hyperstretch because you can create crazily long files with it. There is also a Shorten mode that does the opposite, makes sounds shorter. If you want to make a sound infinite, you can freeze the sound in place to create an infinite soundscape with the "freeze" button that is just to the right of the play button. Below the stretch slider, you can see the window size in samples. This parameter can have quite a profound impact in the final result. Paulstretch breaks up the audio file in multiple slices and this parameter changes the size of those slices, affecting the character of the resulting sound as will hear below. Cool. As you can see on the file name above, 8X is the stretch value while 7.324K is the window size in samples. Notice that the end of the file that Paulstretch created cuts abruptly. This can be fixed using lower values of window size to create a smoother fade out. This is the classic Paulstretch sound: kind of dreamy, clean and with no noticeable artefacts. You will also notice that, although the original is mono, the stretched version feels more open and stereo. This kind of "artefacty" sound is interesting, useful and even beautiful in its own way. But in terms of cleanly stretching a sound without massively changing its timbre, Paulstretch is clearly the way to go. Using a different recording we get a whole new assortment of artefacts. Below, you can see the original recoding on the left, the processed version with the default, dreamy settings on the centre and lastly, on the right, a version with a low window value that seems to summon beelzebub himself. Awesome. On the other hand, Higher values (over 15K aprox) are better at frequency resolution but the the time resolution suffers. This means that, since the chunks are going to be bigger, frequency response is more accurate and faithful to the original sound, but in terms of time, everything is smeared together into a uniform texture with timbres and chracters from different sections of the original sample blending together. So, it doesn't really make sense to use high values with short, homogeneous sounds. Longer and more heterogeneous sounds will yield more interesting results as in this case different frequencies will be mixed together. You can hear below an example with speech. Again, original on the left, dreamy default values on the centre and high values on the right. You can still understand syllables and words with a lower window value (centre sample) but with a 66K value the slices in this case are 2 seconds long, so different vocal sounds blend together in an unintelligible texture. Basically, high window values are great for creating smearing textures from heterogeneous audio. Here is another example to help you visualize what the window size does. On the left, you have a little piece of music with two very different sections: a music box and a drum and bass loop. Each of them is around 3-4 seconds long. 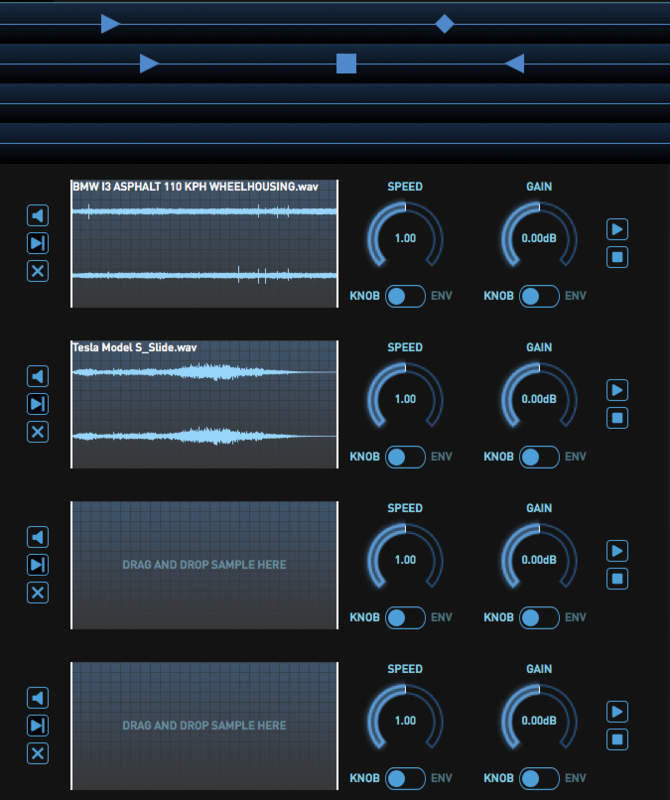 If we use a moderate window size (centre sample below) we will hear a music box texture and then a drum texture. The different music notes are blended together but we can still have a sense of the overall harmony. On the third sample (right) we use a window size that yields a slice bigger than 4 seconds, resulting in a blended texture of both the music box and the drums. 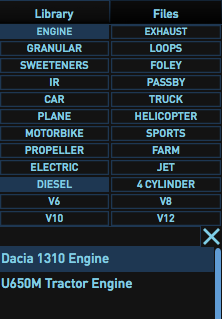 Jumping now to the Process tab, here we have several very powerful settings to do sound design with. Harmonics will remove all frequencies form the sample except for a fundamental frequency and a number of harmonics that you can set. You can also change the bandwidth of these harmonics. A lower number of harmonics and a lower bandwidth will yield more tonal results since a fundamental frequency will dominate the sound, while higher values will be closer to the original source having more frequency and nosie content. See samples below, the first two are the original recording on the left and the stretched version with no harmonic processing on the right. I left the window size kind of low so we have some interesting frequency warping there. Further below, you can hear several versions with harmonic processing applied and increasingly higher bandwidths. Hear how the first one is almost completely tone and then more and more harmonic and noise content creeps in. I's surprising how different they are from each other. Also worth mentioning are the pitch controls. Pitch shift will just tune the pitch as any other pitch shift plugin. Frequency shift creates a dissonant effect by shifting all frequencies by a certain amount. Very cool for scary and horror SFX. And that's it form me! I hope you now have a good idea of what Paulstretch can do. I see a lot of potential to create drones, ghostly horror soundscapes, sci-fi sounds and cool effects for the human voice. Oh, and also just stretching things up to 31 billion years is nice too. Here is a mini library I've put together with some of the example sounds, some extended versions an a bunch of new ones. It includes creatures, drones, voices and alien winds. Feel free to use them on your projects.